Regular brushing should be carried out to lift the sward, keeping it upright to help dry the plant and reduce disease. Where ground conditions and temperatures are suitable, mowing the square to remove its winter growth is one of the first tasks. You may need to raise the height of cut, so that you are just topping it off and not trying to remove too much grass in one go. A rotary mower, set at 25-30mm, would be best suited for this purpose, as clippings will be removed at the same time. Sarrel roll your square after the first cut, as this will open it up and lightly iron out the surface. As the month progresses, start reducing the mowing height on the square to around 15-20mm, subject to local weather conditions. A light verti-cut will remove any lateral growth caused by the snow or wet weather and clean out the surface. The less stress that is placed on the grass at this time is vital for better results going into the new season. 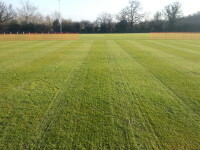 Do not neglect your outfield: Outfields should be harrowed, aerated and a programme of solid or slit tining to a depth of 150-200mm will assist water movement and oxygenate the soil (vary the depths of penetration to prevent the development of a soil pan). Soil samples can still be taken, with findings used as part of your fertiliser programme. Keep on top of any grass growth; mow at 30mm in accordance to its usage; if left too long, it then becomes a struggle to mow. Keeping one eye on the weather; you may want to begin your square rolling programme early, but only if your season starts early April; any other rolling should be delayed untill March. Start with your lightest mower; using the “Union Flag” system, roll in as many different directions as possible, but always finish in the direction of play. Timing of this operation is vitally important. If you are using the weight of a mower to consolidate the ground, disengage the blades to reduce friction and unnecessary wear on the machine. More weight can be added to the grass box (bag of loam) to increase consolidation. Gradually build up the rolling weight by moving onto the next size of cylinder mower and adding weights to the grass box as required. This gradual build up may be over a few weeks until the heavy roller comes out of the shed to achieve the right consolidation for the start of the season. Ideal rolling conditions would suggest the soil to be in a state of plasticity, or "plastercine" like. Test your square regularly with a knife to see the condition of your square, if it is too wet, delay rolling as any type of rolling will create a bow effect and could cause some structural damage. Consolidation is your aim and the quality of your pre-season rolling will show when you produce your early season pitches. The square is required to be consolidated throughout to a depth of no less than 100mm. (where squares have been constructed to ECB guidelines); this can only be achieved with a gradual build-up of roller weight. Still some time left in February to send any machinery away for repairs or servicing. Keeping your cylinder mowers sharpened and serviced is vital to good groundsmanship; there is nothing worse than a mower that keeps breaking down, not starting or one that cuts poorly. Stock a good supply of materials such as loam and seed for repairs and maintenance. 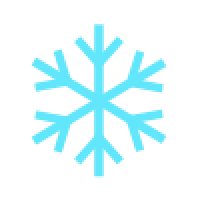 February is an ideal time to contact sales reps and find out what products are available for spring work. Never leave it late to order materials. Pitchcare is the only provider of LANTRA accredited training courses in the maintenance of Cricket Pitches. 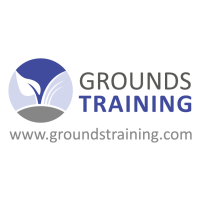 We can organise a one day course on-site, which is designed to provide a basic knowledge of Cricket Pitch (square and ourfield) maintenance. The course enables the Groundsman to grasp the basic needs of a cricket square and outfield. There are two courses - Spring & Summer Maintenance and Autumn & Winter Renovations. Delegates attending the courses, and using the accompanying manuals, will be able to develop their own skills, working knowledge and expertise, by understanding the method of instruction and the maintenance principles they set out. Included in the Course Manuals are working diaries showing the range of tasks needed to be accomplished each month. Email Carol Smith for information. Check your sightscreens for damage; many free standing types often get blown over during high winds or, worse still, are stored underneath trees, resulting in green algae forming on the sheeting. Check and repair fences and scoreboards. Organise appropriate repairs or replacements. Covers will be required for use during pre season preparations, make sure they are ready. Allow time for cleaning and repairing. Artificial Pitches: Keep all surfaces clean and safe, by regular sweeping and brushing to remove any algae and moss from surface. Ensure damaged batting and bowling areas are repaired. Ripped or loose material could cause injury to players and end users. Net Facilities: Replace or repair damaged structures and netting, order new if required. Strim and mow around structures.